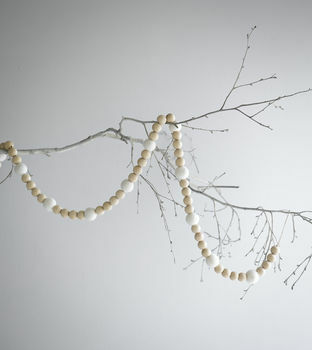 Handmade garland using a mix of wooden and merino felt balls. Perfect for the christmas tree, mantle or a beautiful decorative touch all year round! 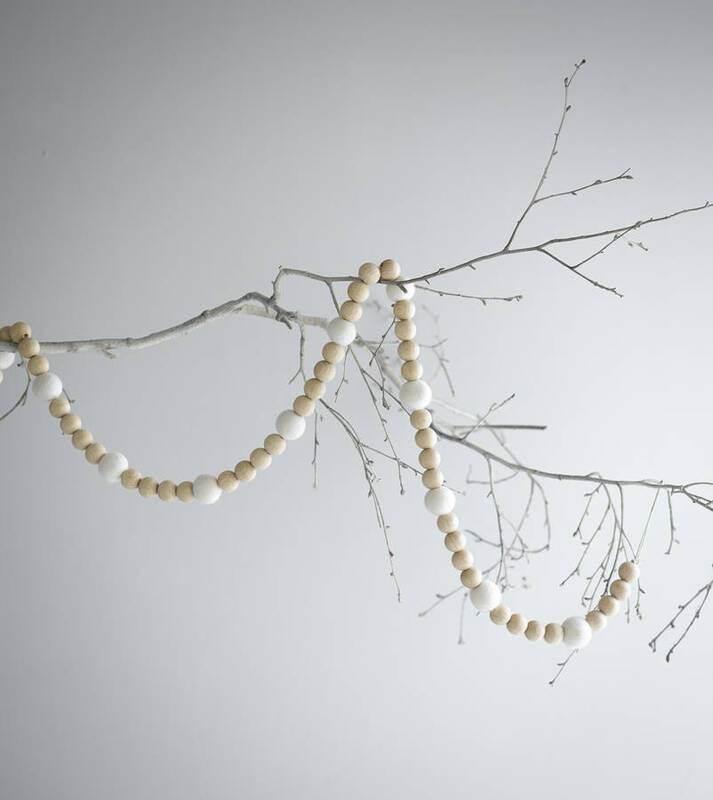 Each garland is handmade using beautfiully tactile wooden and hand felted wool balls strung together on sturdy hemp twine. This product is dispatched to you by Rastall and Daughters.